My story "Reunion Briefing" was published by Day One today along with a poem from Kyla Marshell and original cover art by Maryanna Hoggatt. You can purchase the issue here. "Reunion Briefing" is another short story in a series I'm writing that is dedicated to my best friend, Army 2nd Lieutenant Peter H. Burks, who was killed by an IED just outside the Green Zone in Baghdad on November 14th, 2007. 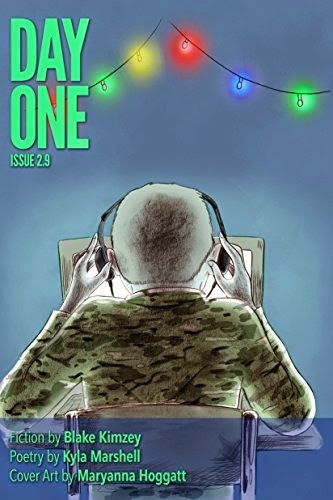 Day One, featured on the Ploughshares blog yesterday as a literary journal to watch, showcases one writer and poet each week, with issues delivered directly to Kindles or Kindle reading apps. I hope you'll give it a look. Thank you to Day One editor Carmen Johnson for publishing this story. She had a real heart for this piece of writing and I can't thank her enough for seeing it to publication.